More than half of women aged over 40 will require their baby to be delivered by caesarean section. Increasing maternal age increases the chance of dying during the pregnancy, or during childbirth. Mothers in their 40s and 50s are also between three and six times more likely to die in the six weeks following the birth of the baby than their younger counterparts, from complications associated with the pregnancy such as bleeding and clots. 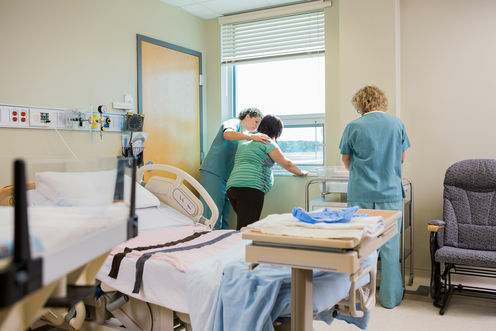 Mothers aged over 40 are more than twice as likely to suffer a stillbirth. And for a woman aged 40, the risk of miscarriage is greater than the chance of a live birth. Finally, babies born from older mothers are 1.5-2 times more likely to be born too soon (before 36 weeks) and to be born small (low birthweight). 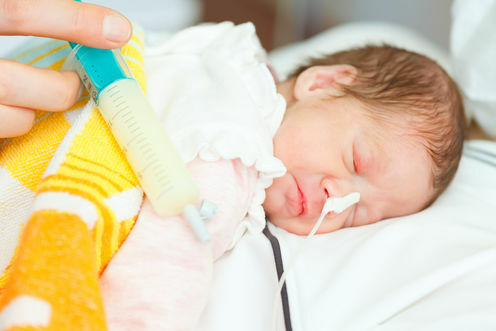 Low birthweight and prematurity carry both immediate risks for the babies including problems with lung development, and obesity and diabetes as an adult. Through advances to the IVF industry, it is possible to take a donor egg and embryo from a younger, fertile woman, to help a woman who has undergone menopause become pregnant. But this comes with greater risks. Pregnancy puts extra stress and strain on the heart and blood vessels and emerging evidence suggests older mothers are more likely to suffer a stroke later in life. While there are no specific age cut-offs for IVF treatment in Australia, many clinics stop treatment at 50. At 30, the chance of conceiving each month (without IVF) is about 20%. At 40 it’s around 5% and this declines throughout the decade. A wealth of scientific knowledge says that risks to the baby and mother during pregnancy are lowest in your 20s. Women in their 20s are less likely to have health risks and conditions such as obesity and diabetes which negatively influence pregnancy. As a woman ages, her egg quality also declines. Poor egg quality is directly associated with genetic errors that result in both miscarriage and birth defects. So while it’s possible to conceive later in life, it’s a risky decision. Hannah Brown receives funding from the NHMRC. She has no other financial disclosures.